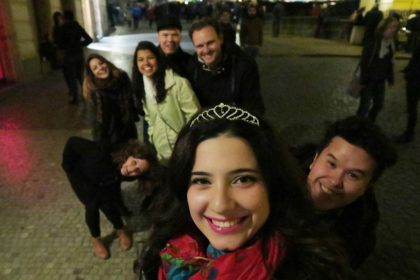 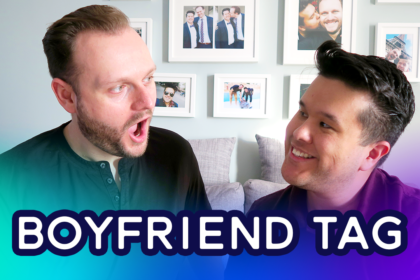 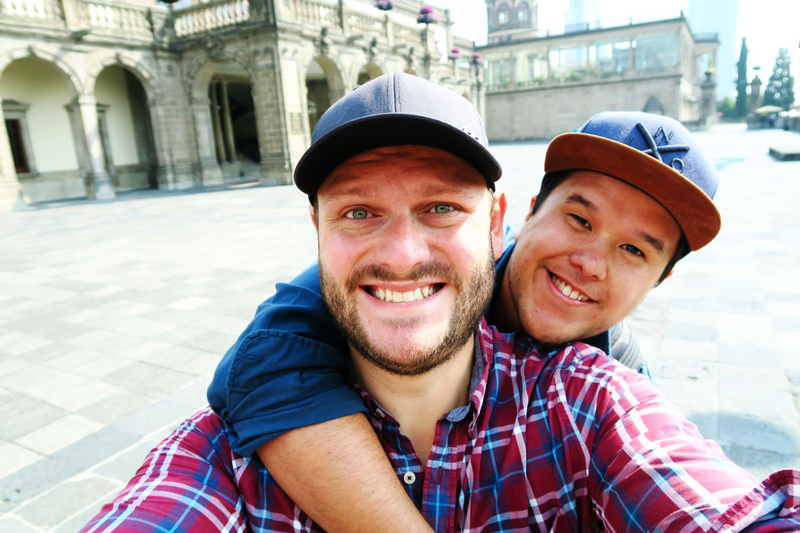 I still remember it like it was yesterday, when Alex asked me out of the blue: “Did you know that Mexico had an Austrian Emperor?” Never having heard of that fact, I looked at him confused and just shook my head. 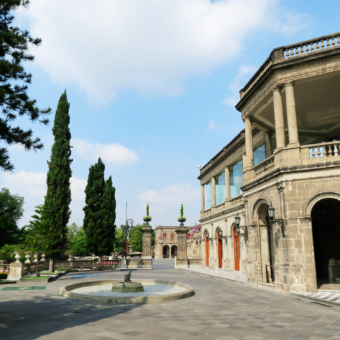 So he told me all about the Mexican Emperor Maximilian I, one of the sons of Francis Charles, Archduke of Austria (i put in a link to Wikipedia if you, like me, want to find out more about him) . 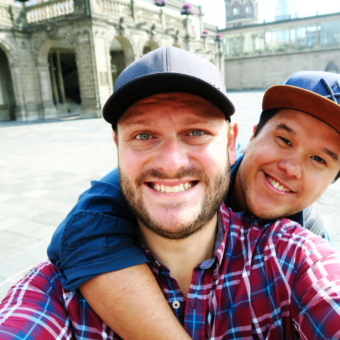 As an Austrian myself, i felt a little bit embarrassed to have never heard of any of that. 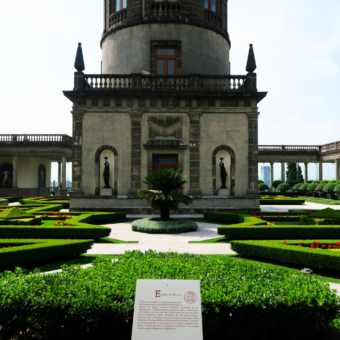 It is kind of funny that Maximilian, who was such an important figure in the history of Mexico, just seems to be a side note in the history books that are taught in school in Austria. 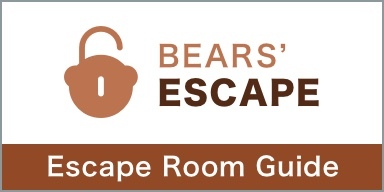 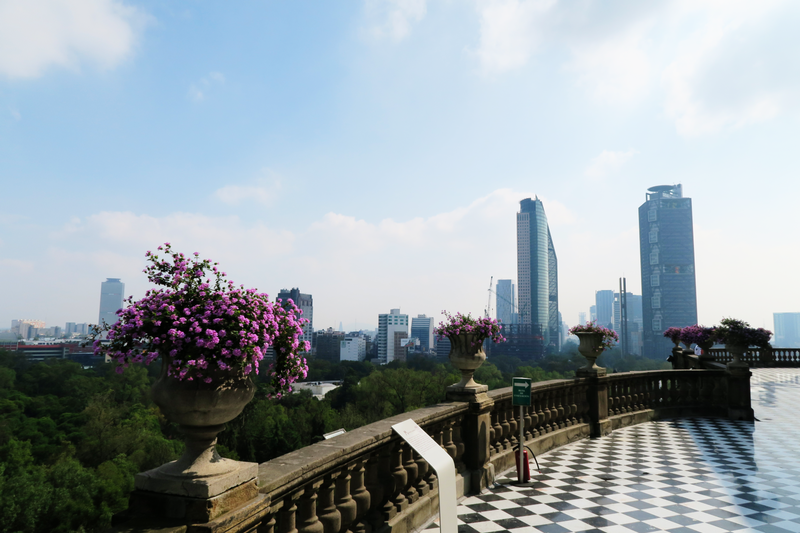 Well, don’t worry – this is not gonna be a history lesson, just a short intro to set the stage for our visit to Chapultepec Castle. 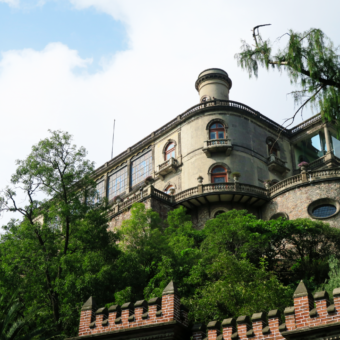 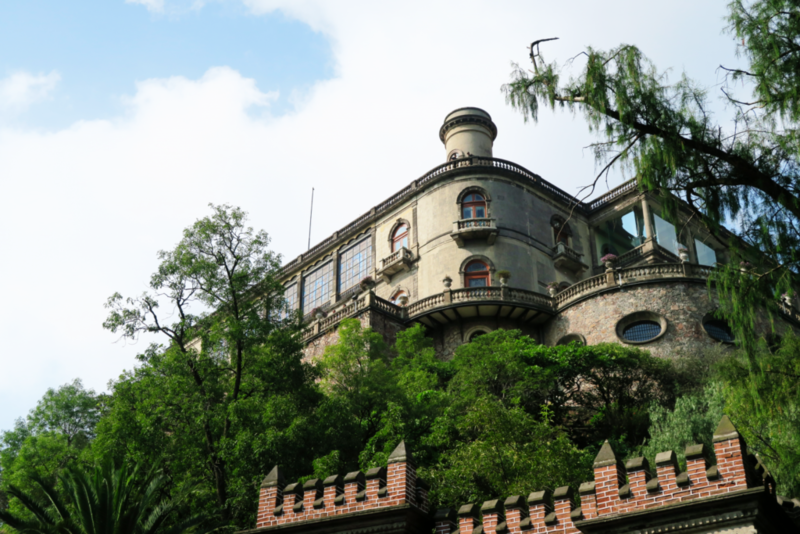 A really impressive castle located in the middle of Chapultepec Park in Mexico City at an impressive height of around 2,300 meters above sea level. 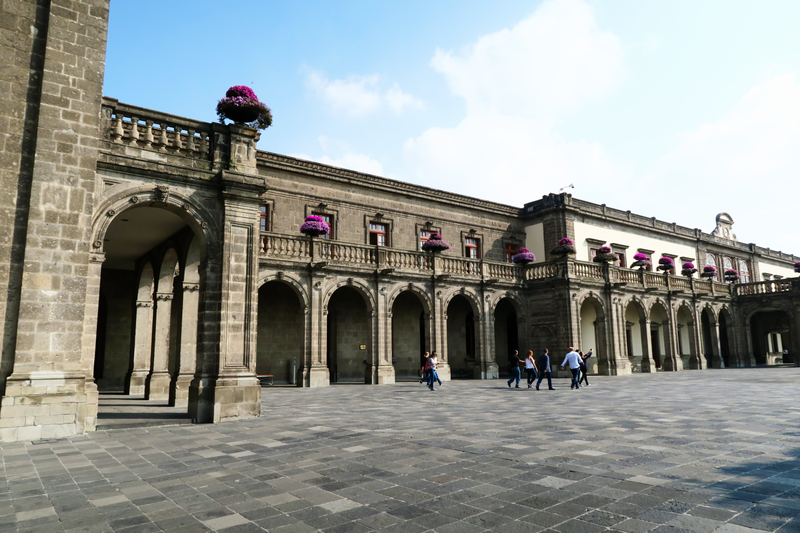 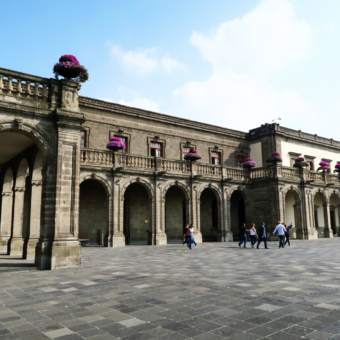 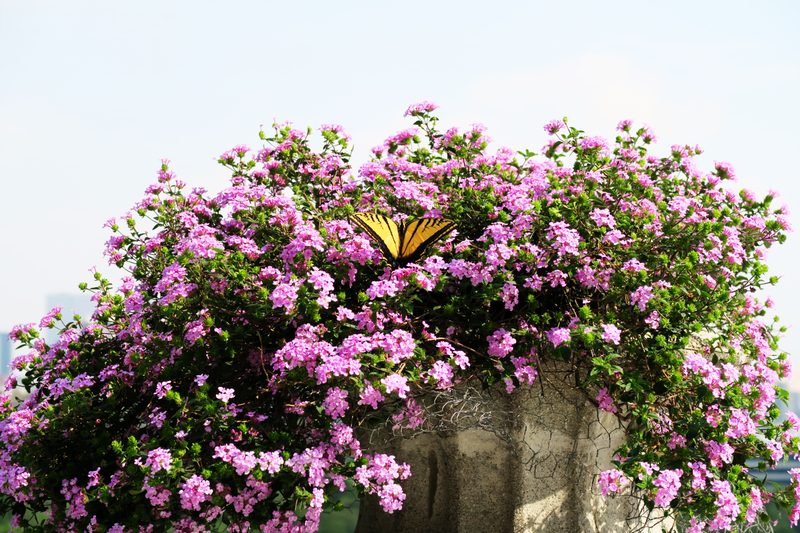 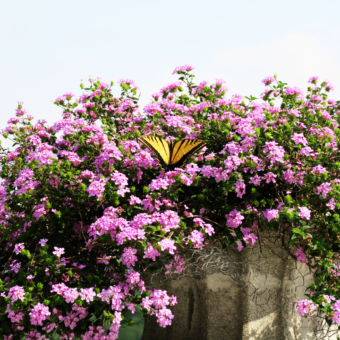 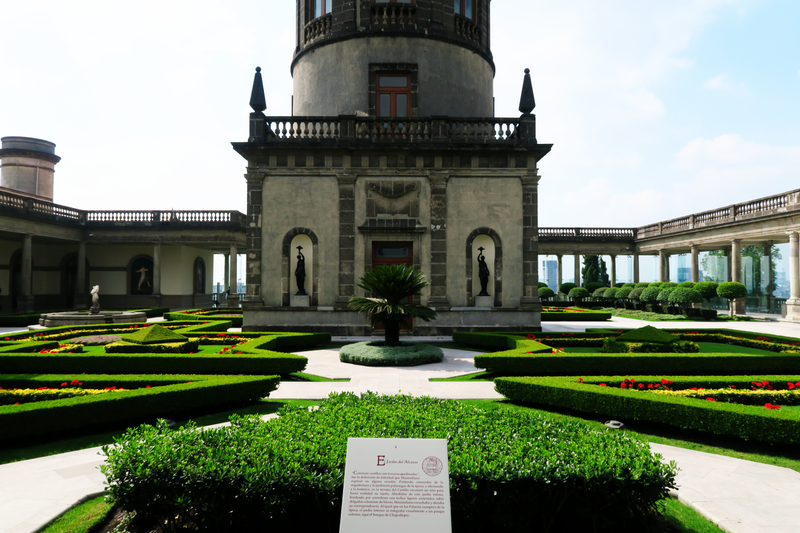 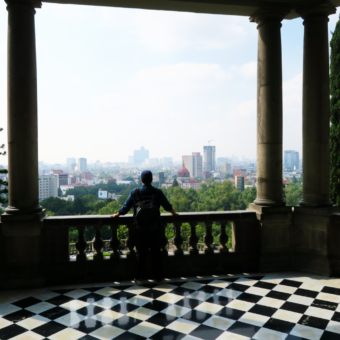 We visited Chapultepec Castle on a Tuesday around 10 a.m. in the morning. 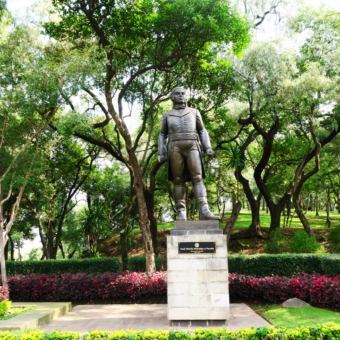 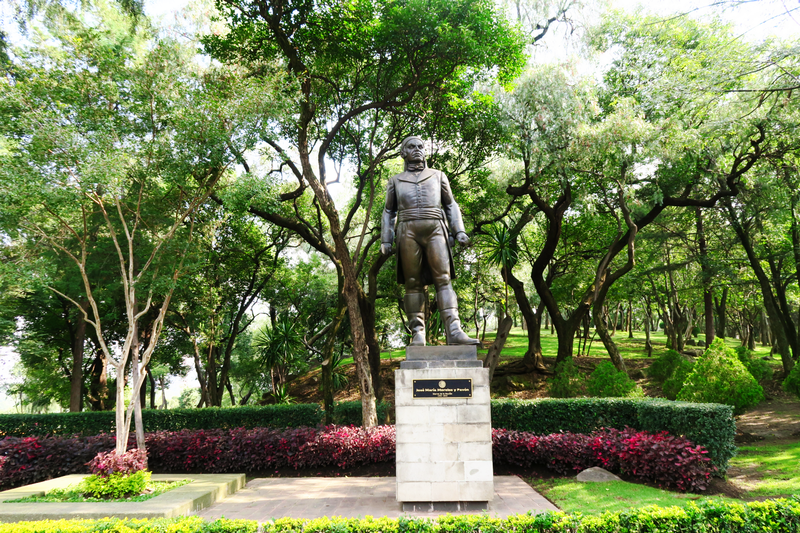 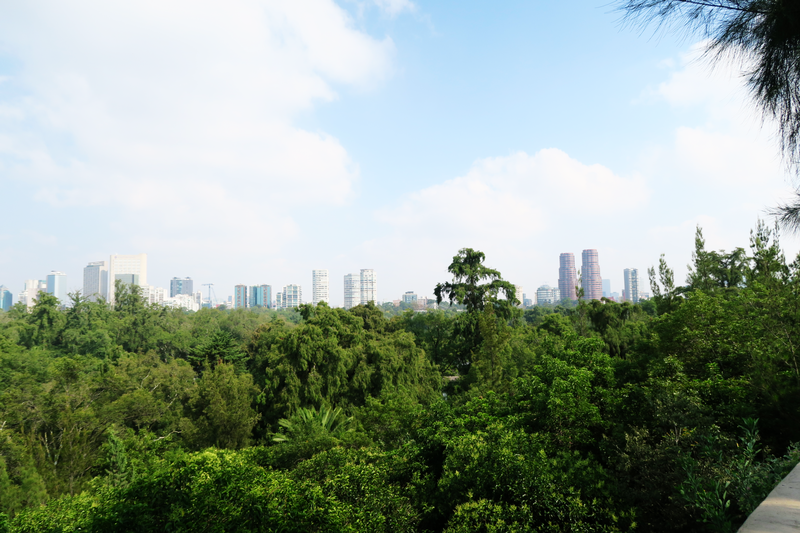 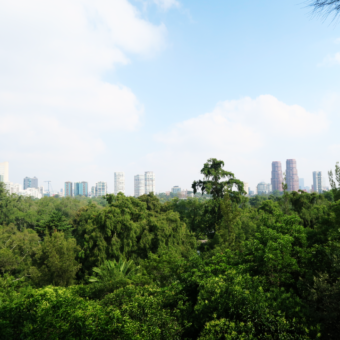 There was actually a lot of commotion in Chapultepec Park when we arrived. 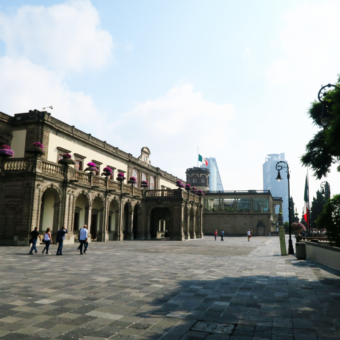 We didn’t know at the time, but we found out later that the Mexican President Enrique Peña Nieto was actually hosting a ceremony right there when we arrived. 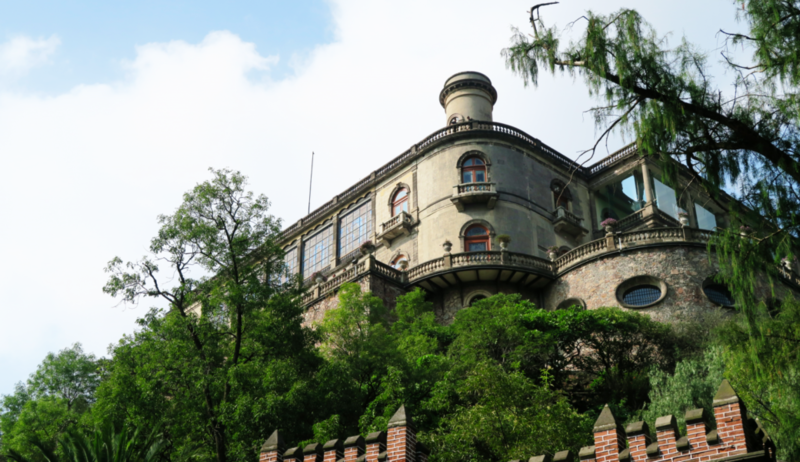 Nevertheless, we walked up the steep street that leads to the castle and were pleasantly surprised that I didn’t have to pay any entrance fee. 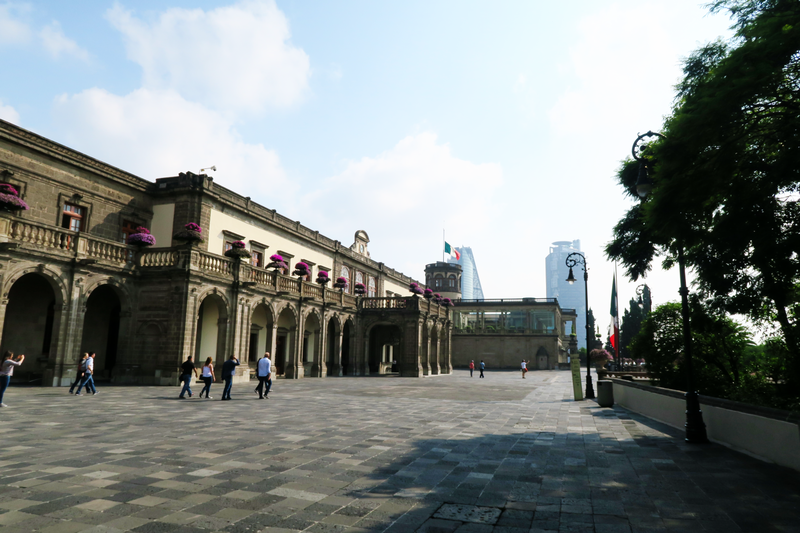 It seems to be free for foreigners during the week before noon, while Mexican citizens don’t have to pay any entry fee anyway. 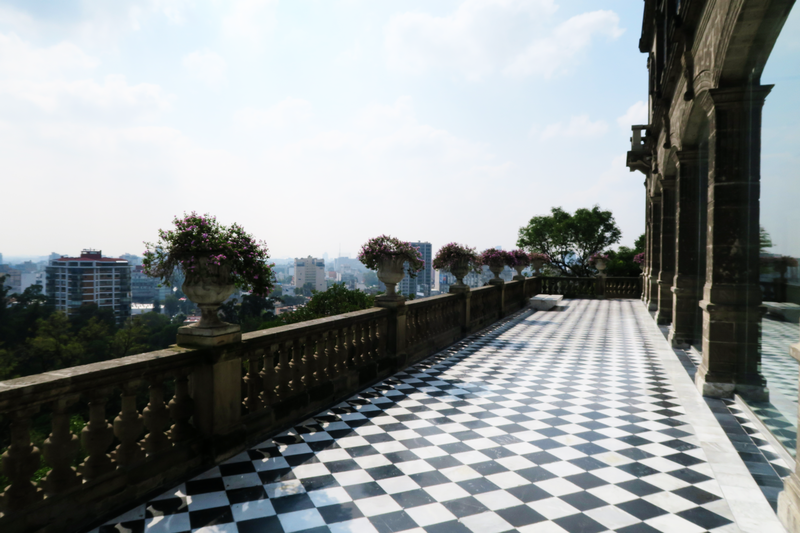 The way uphill is already impressive, giving you a really nice view of the castle as well as of the city and some fountains and statues. 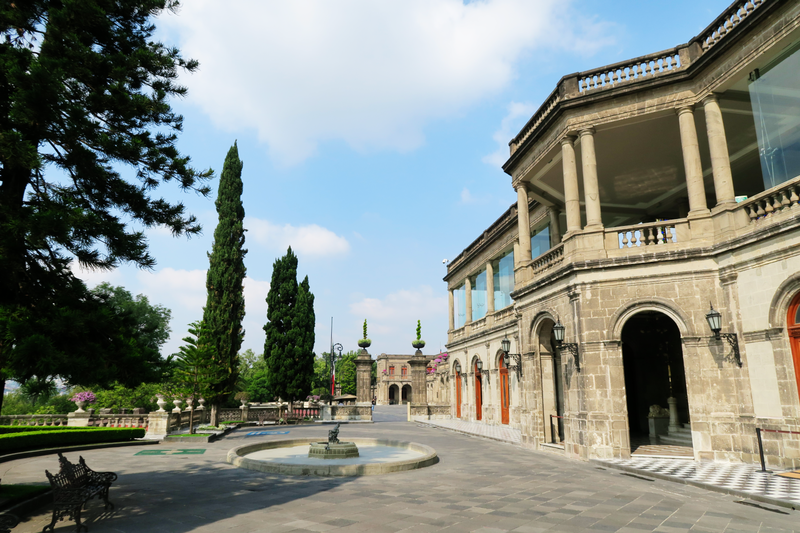 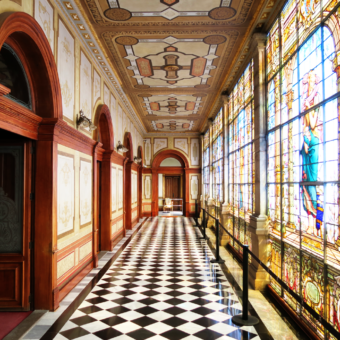 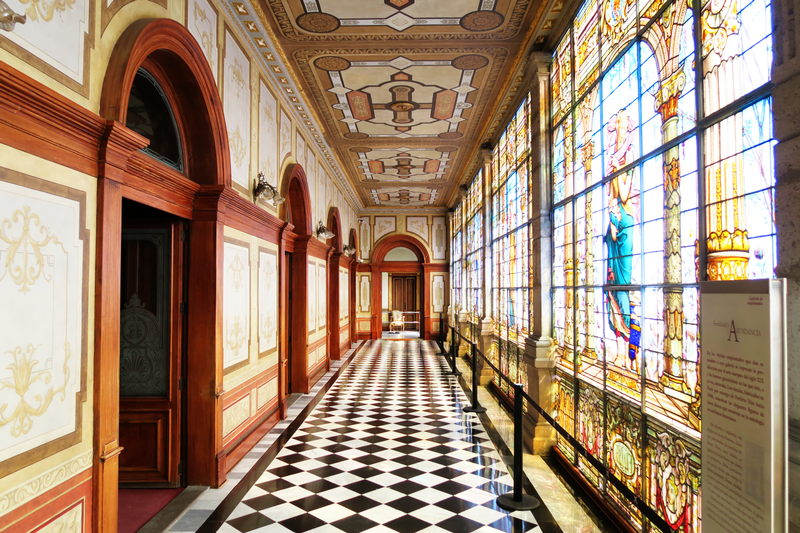 Chapultepec Castle nowadays houses the national Museum of History. 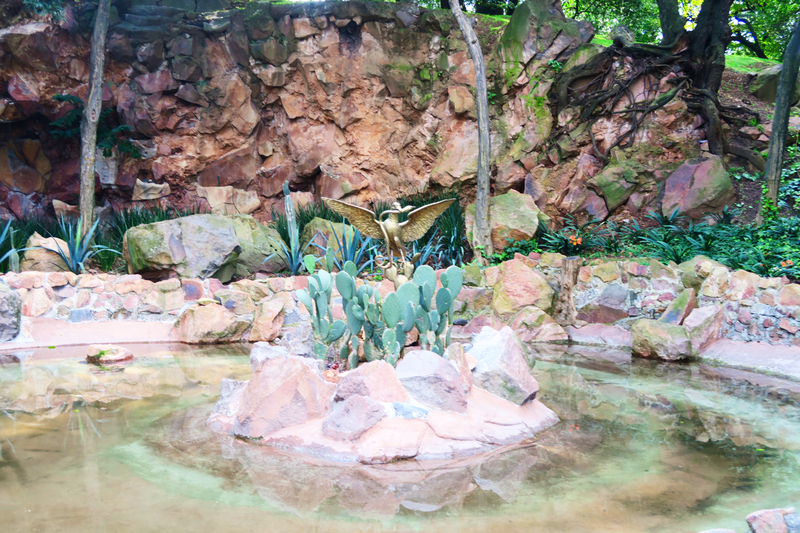 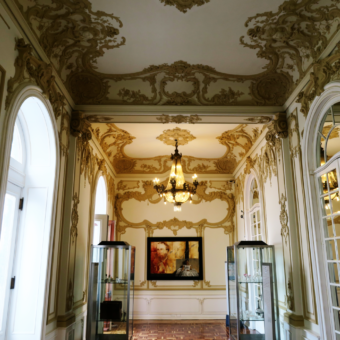 Is is thereby a fitting location for a great amount of art and historical artifacts. 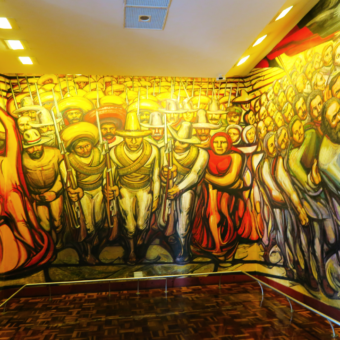 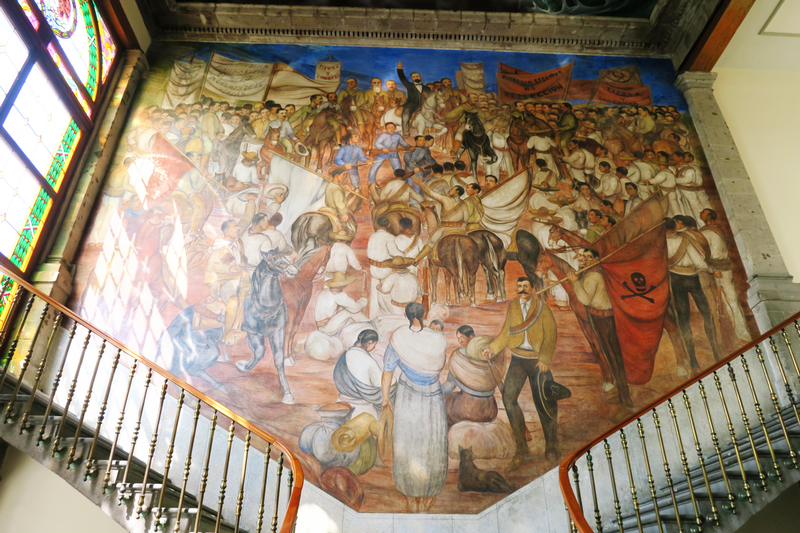 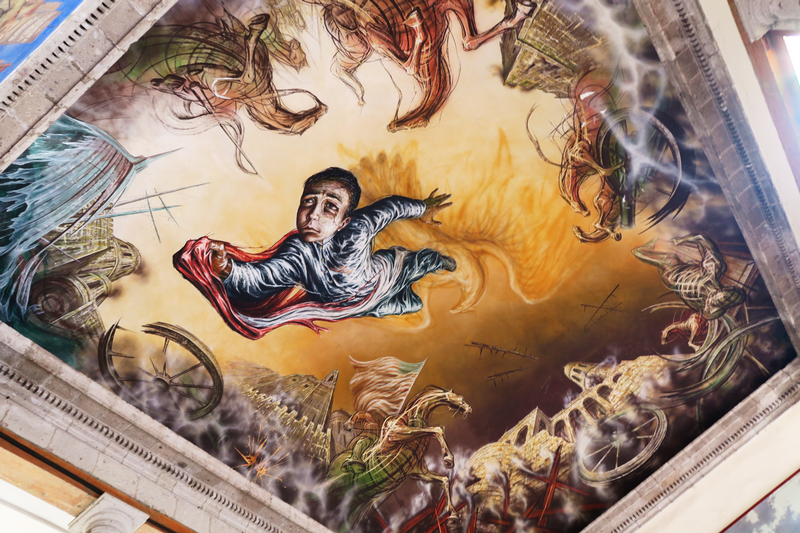 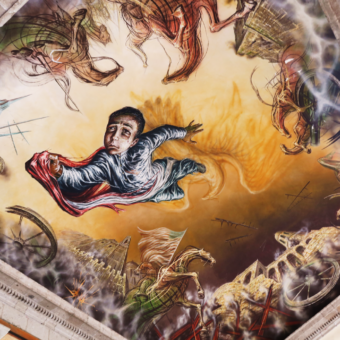 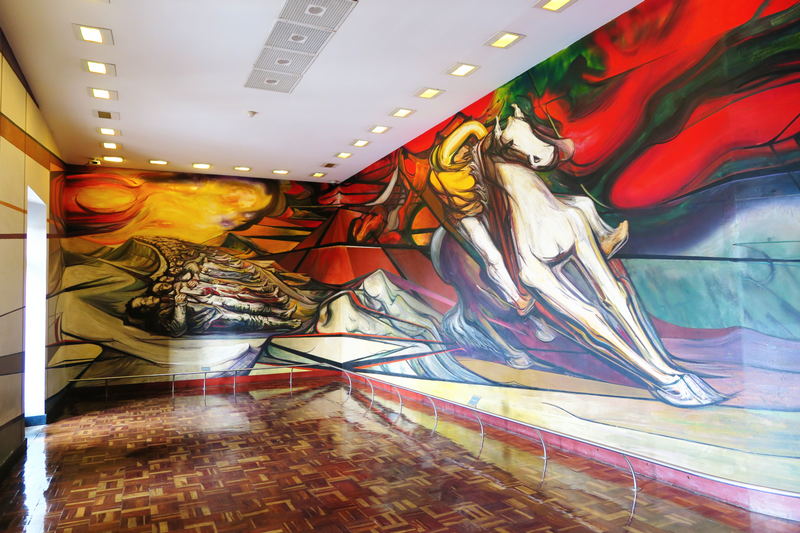 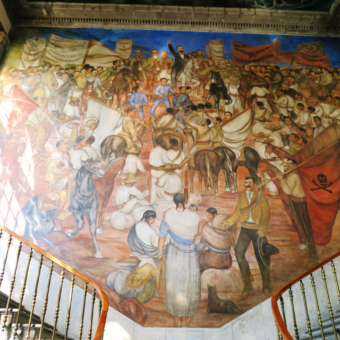 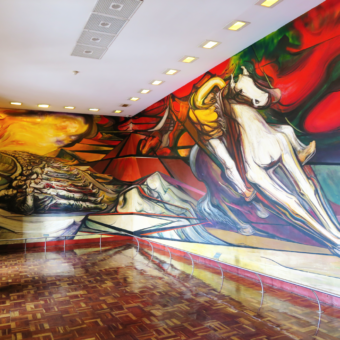 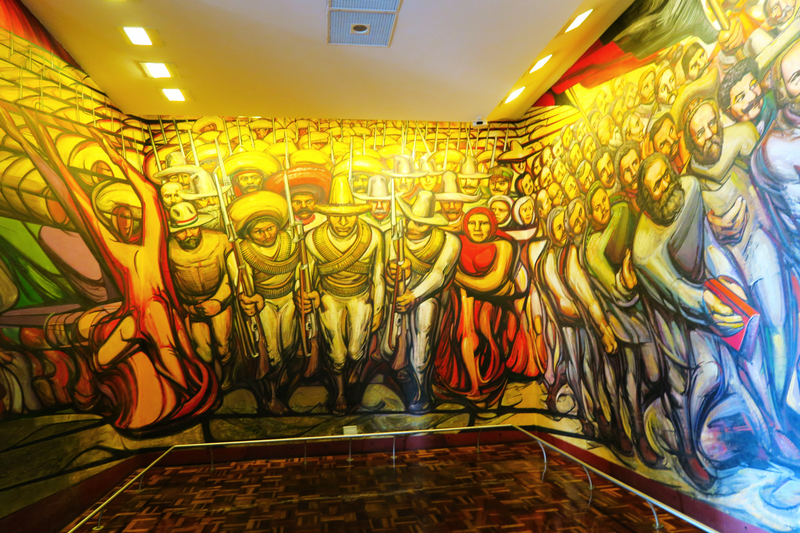 Most impressive for me were the massive paintings of the so-called “mexican muralism” era. 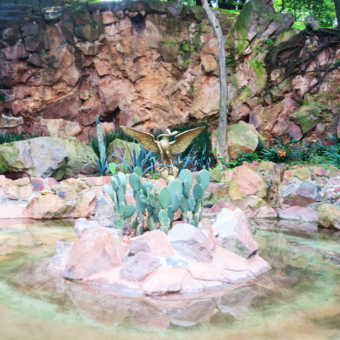 What is that, you might ask? 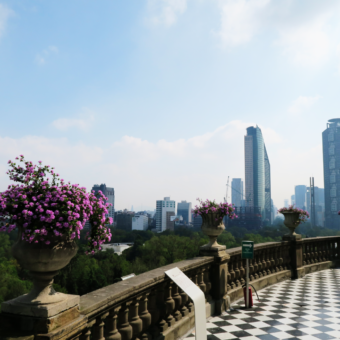 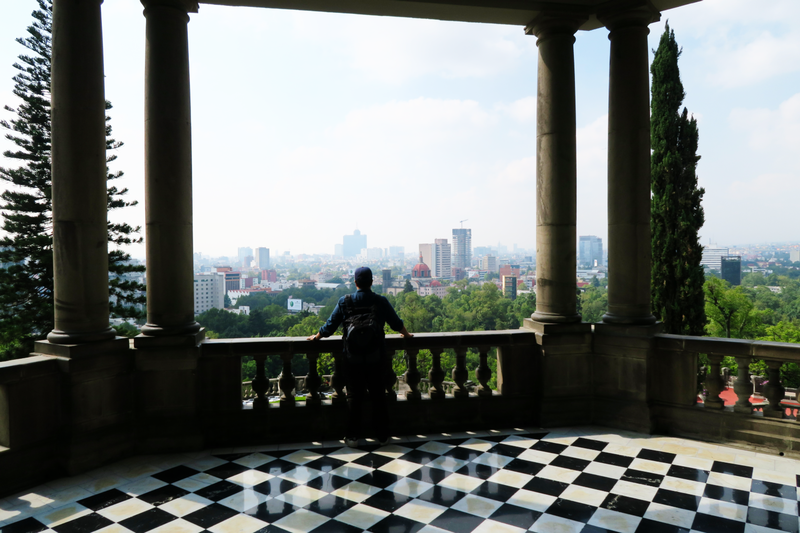 Beside all the art, the most impressive sight is still Chapultepec Castle itself with its impressive view over Mexico City. 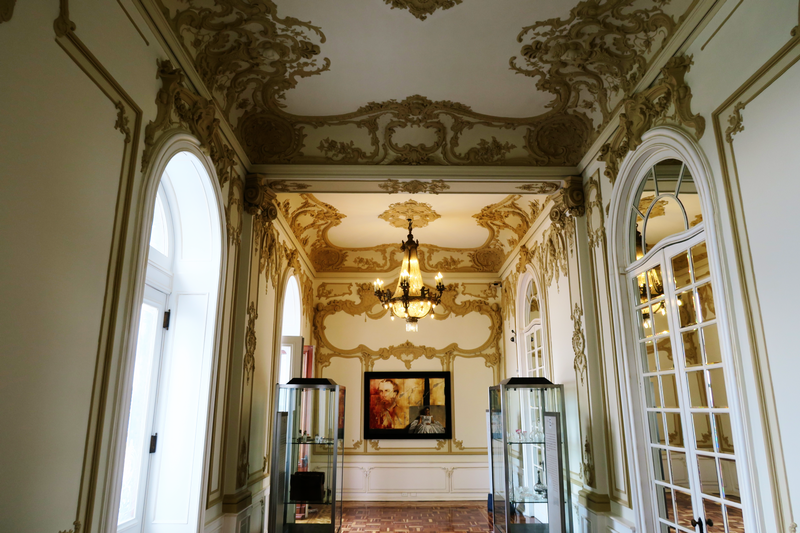 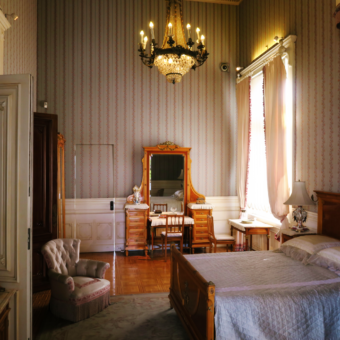 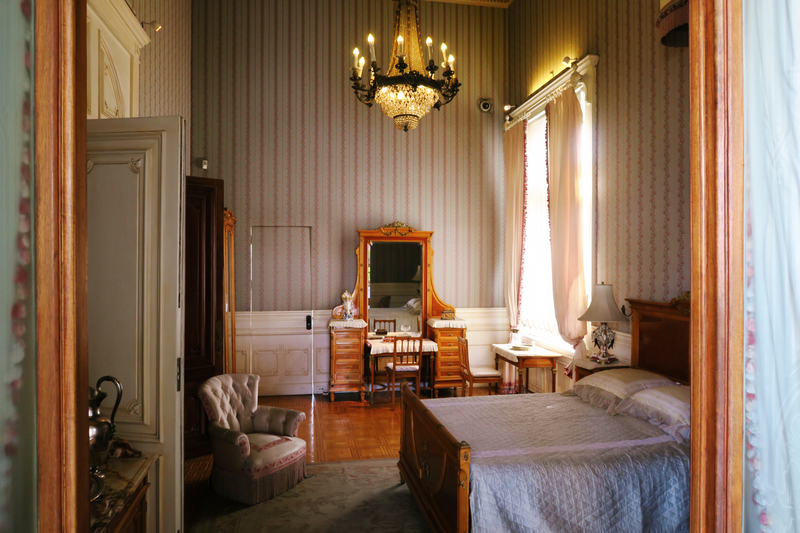 It is nice to see that the building is so well maintained and a lot of the historical rooms are well-preserved and viewable for the public. 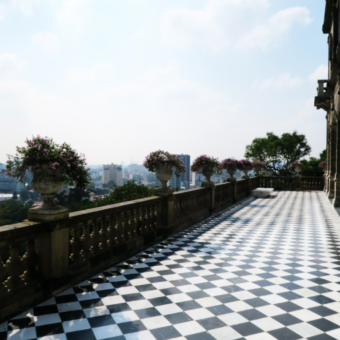 The balcony of the sleeping rooms as well as the roof gardens are especially impressive, giving you a clear idea of the royal lifestyle “back in the day”.